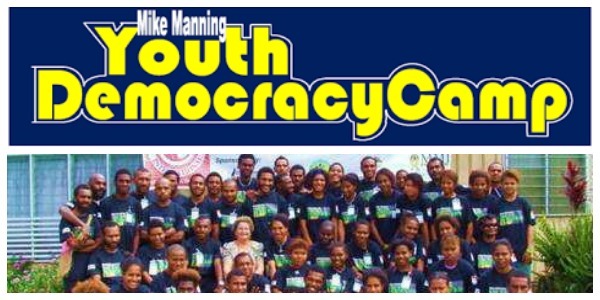 Created in 2008, the Mike Manning Youth Democracy Camp (MMYDC) is an annual 10-day camp that brings students nationwide to learn about the principles of democracy and good governance. 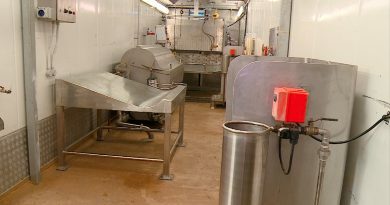 The camp is named after former Chairman of Transparency International PNG, the Late Michael (Mike) Manning, who was an anti-corruption activist and economist. Manning was a prominent critic of the improper use of public funds and government corruption. 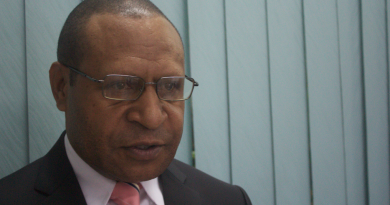 He advocated for the creation and improvement of a network of organisations within Papua New Guinea to fight corruption. Transparency International PNG (TIPNG) believes that youth have an important part to play in the sustainable development of the country. The MMYDC program balances hands-on activities, capacity building exercises, simulations and presentations from guest speakers on a wide range of topics including, human rights, media, extractive industries and budget tracking. At the camp, students do various simulation activities such as conducting fair elections, drafting, debating and passing laws, debating on issues, exercising the role of the media in a democracy and many more. The TIPNG’s Mike Manning Youth Democracy Camp starts today, Friday September 23 and ends on Sunday October 2, 2016, at the Bomana Correctional Training College. is a member of EMTV Online, as well as a researcher for Women’s World. She recently graduated from the University of Papua New Guinea with a major in Strategic Management and is looking forwarding to expanding her knowledge of the Media Industry.